Deepika is an 11 year old girl. Deepika's father is a single parent who relies on casual labouring work to earn a few dollars a month to feed his family. Their situation is difficult and they currently live in very cramped conditions with their relatives. Deepika enjoys attending school and her favourite school subject is all subjects. 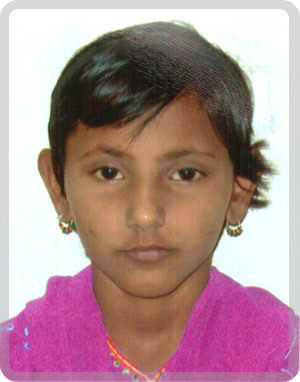 Deepika travels to school each day on foot, 2km each way. When she grows up, Deepika wants to be a teacher. Deepika and her father are currently staying with her uncle as her parents have separated. They need financial assistance if she is to attend school. Deepika now receives the education every child deserves.